Here at Ewenny Home Improvements we are dedicated to making your home renovation dreams come true. By using engineering excellence and energy efficient materials, our professionals will work closely with you, and your budget, to transform your home. 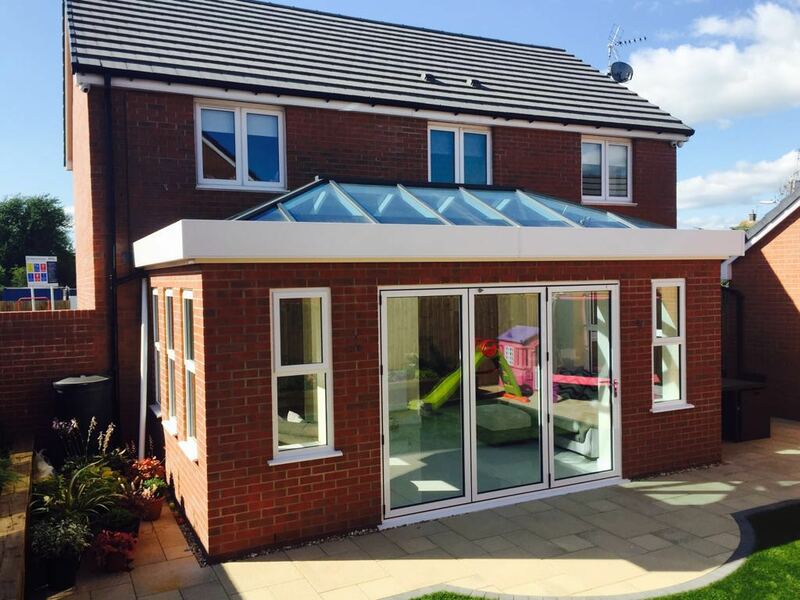 For whatever reason you wish to invest in a home extension, whether it be a quiet place to relax, extra room to entertain, or to gain more space for the children’s play room, our bespoke service can offer you the peace of mind and satisfaction you and your family wish for. After a successful grand opening the Ewenny Home Improvements showroom is now open 7 days a week – Visit us today for a free quote! Our specialists can guarantee a stylish and comfortable space for you and your family by focusing on attention to detail and only using the highest quality materials. We offer a free quote and consultation, from start to finish, in order to create an individual design with you, and only you, in mind. The aluminium system can also be powder coated to a colour of your choice. 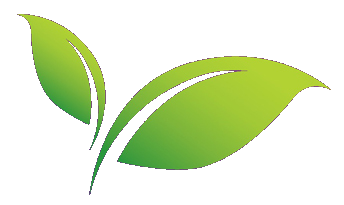 Using only thermal performance enhancing materials to provide a long term, energy efficient, money saving space. Our latest Skyroom project is situated within the beautiful seaside town of Porthcawl. 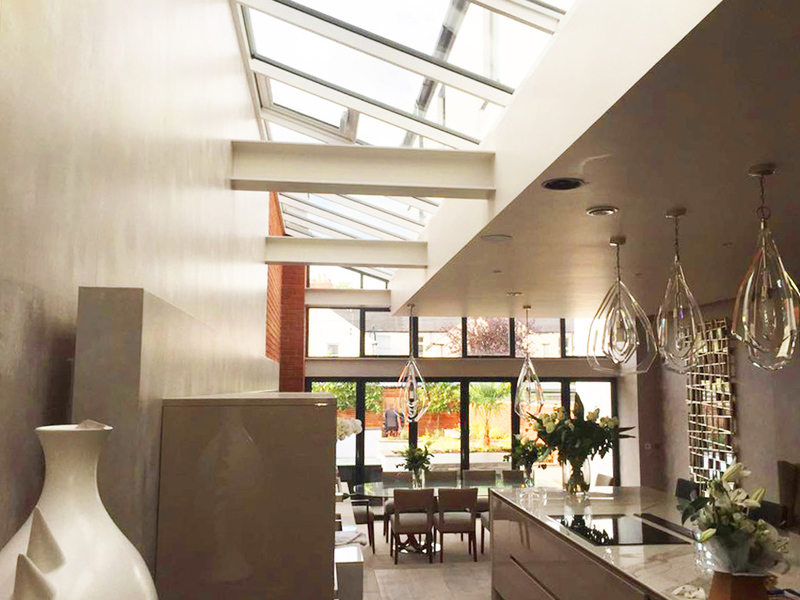 By having a cleverly designed roof installed, and combining all the classic features of an orangery, this Skyroom beautifully forms the ultimate choice in modern living. In this Cardiff home we were given the opportunity to improve the space and light by adding a single sloped lean-to roof. Together with bi-folding doors, it provided a fluid transition between the indoor and outdoor space. The rear of this property in Swansea, was in need of a simple space solution. Unlike conservatory roofs, the versatility and minimalistic features of a Skyroom blends design aesthetics, outstanding strength and unrivalled thermal performance. 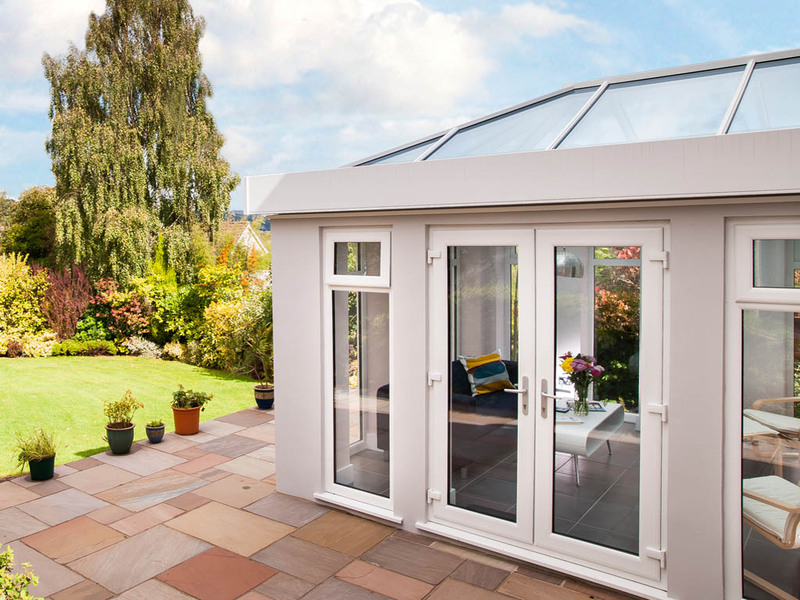 We’re always here to advise you on the perfect skyroom, orangery, conservatory or windows and doors for your home. Please give us a call or fill out the contact form and we’ll get back to you shortly.